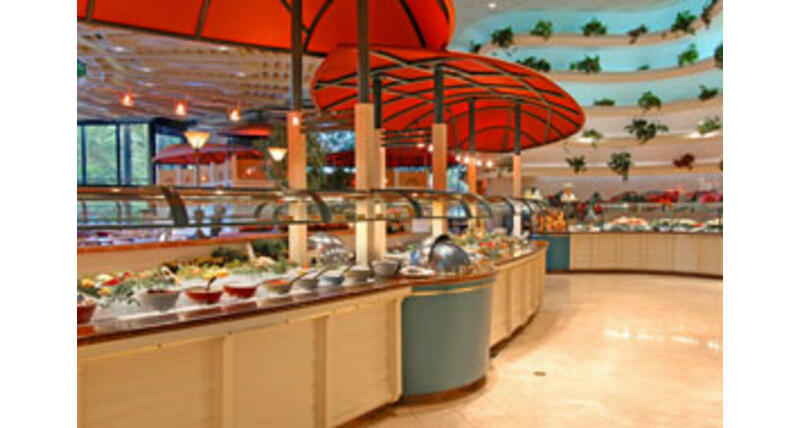 Watch the playful antics of live penguins and flamingos while enjoying a fresh feast at the Paradise Garden Buffet. 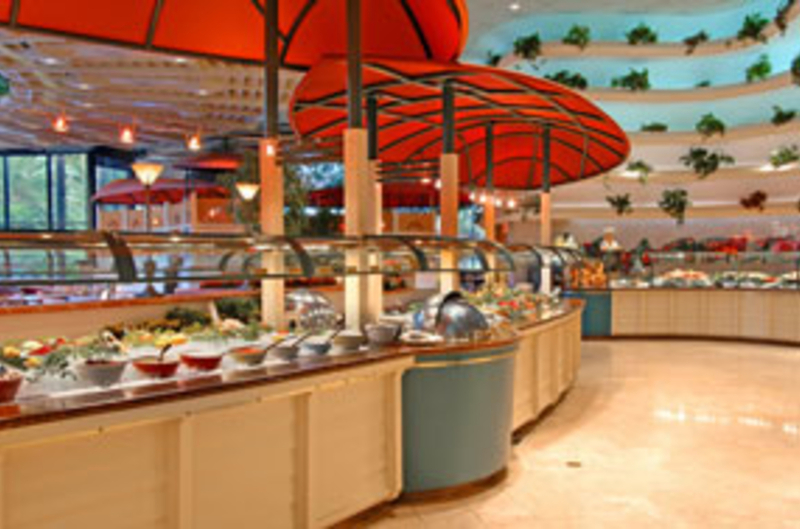 Enjoy a scrumptious salad and fresh fruit bar along with mounds of shrimp on ice, Alaskan crab legs and seafood salads. The carving station serves prime rib of beef with Yorkshire pudding and slow-roasted breast of turkey. Prime Rib is available, along with honey-glazed duck, broiled pork chop cutlets with Maui onions, and baked Atlantic Salmon. And if you're looking for something sweet, we offer a dessert bar that includes an ice cream sundae station along with freshly baked pies, cakes, puddings, and pastries. For the early riser, the Sunrise Brunch includes more than 60 breakfast items: made-to-order omelets, honey-glazed ham, roasted New York strip loin, smoked Norwegian salmon, braised breakfast sausage, smokehouse bacon, buttermilk biscuits, made-to-order malted waffles, country-fried potatoes, and more.